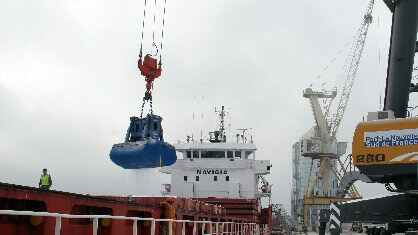 More than 300 000 tons of bulk and general cargo are handled each year in Port La Nouvelle. Imports include fertilizer, animal food, minerals, cement, steel products and non-ferrous metals while exports include forest products (timber, logs, woodchips), wheat flour, bagged commodities and other industrial goods. Port-La Nouvelle also operates heavy lifts like wind turbine components, presses, electric generators, dismantled cranes and yachts. 400 m of linear dock for ships max 145 m long x 22 m wide x 8 m draft. 160,000 m2 of open storage (150 000 m2 in reserve). 20,000 m2 of covered storage (4 warehouses). 3 cranes = 1 mobile crane Liebherr 240 LM (2012) x 84 t lifting capacity + 1 Electric-powered Caillard crane x 10 t lifting capacity + 1 x electric powered Kocks crane x 32 t lifting capacity. The COMTOIR LANGUEDOCIEN DE TRANSIT ET DE MANUTENTION (CLTM) has been based in Port-La Nouvelle since 1956. 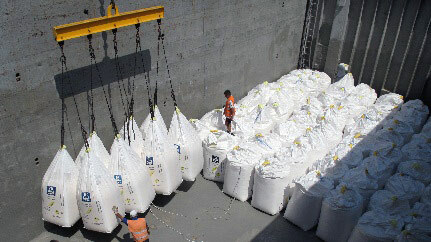 It is a family-owned independant port operator handling dry bulk and breakbulk commodities. They have also been operating in Port-Vendres since 1967 trading fruits and vegetables. The company provides stevedoring, ship’s agency, freight forwarding and warehousing services. The Company is certified as “Authorized Economic Operator” for Customs operations. SUD SERVICES SNC is a subsidiary of Axereal group. 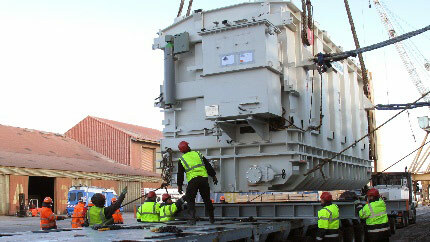 The company offers ship’s agency services, stevedoring, freight forwarding and storage services. SUD SERVICES is certified “Authorized Economic Operator” for arranging quick Customs formalities, and by GAFTA and COFRAC for inspection activities. La SOCIETE DE MANUTENTION ET TRANSIT PORTUAIRE (SMTP) is a subsidiary of the Axereal group specialised in handling and bagging fertilizers. Port-La Nouvelle has a fully sealed pneumatic cement terminal. The annual traffic is 50,000 tons per year. 1 specialised berth (East quay n° 8) for self-discharger vessels of max 145 m loa x 22 m boa x 8 m draft. 2 x tanks of 3500 t capacity each. Arm for reloading trucks or railcars with integrated weighbridge. 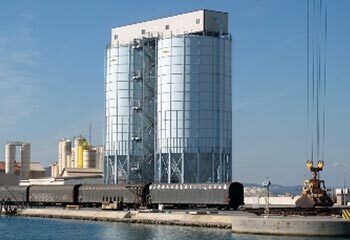 The cement terminal belongs to LAFARGE Group, world leader of the construction and building materials.